How did Dumbo moving become one of best moving companies in NYC? 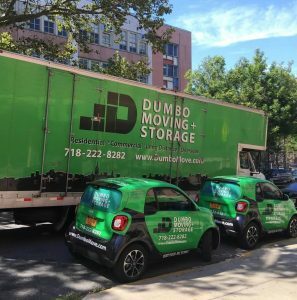 How did Dumbo moving and storage become one of the best NYC moving companies? Dumbo moving and storage crew proved to be a reliable and valuable assistance in terms of household and business relocation. They have gained people’s trust over the years of impeccable moving services. The process of finding a reputable moving company may take some time, money and energy. When you realize that there are lots of fraudulent NYC moving companies lurking around, you will want to take an extra step in order to protect yourself and your belongings during the move. Remember, you can never be too careful when choosing the moving company you can entrust your most precious belongings. People seem to be rather busy nowadays and they usually don’t have time or means to move an entire house themselves. This is when they realize that hiring a trustworthy moving company will significantly simplify and speed up the moving process. 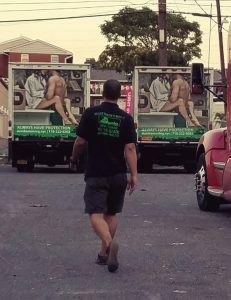 ”Why should I choose Dumbo moving and storage over hundreds of other moving companies in NYC” is something that you will probably ask yourself when researching moving companies. Read on and you may find some interesting pieces of information and guidelines on how to find a reliable moving company when facing an imminent household or business relocation. Although each customer has specific demands and there are a lot of different types of moves, we are now pointing out some ground rules NYC movers should comply with. 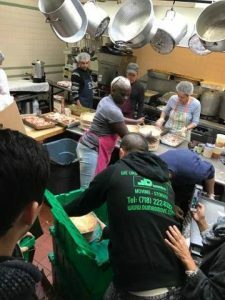 – Positive former customers’ testimonials can add to the moving company’s value and reputable movers should be willing to share the list of their previous customers. Customer reviews might be a good starting point since they can provide helpful information and pieces of advice about the moving company in question. Also, online reviews and ratings can help you identify potential rogue movers and avoid them. – Professional moving companies provide an accurate moving quote based on an in-home estimate. They should also let you know if there will be some extra charges or fees for some of the additional services they provide. At the end of the day, they need to make sure there won’t be any unpleasant surprises and moving cost variations. – Skillful NYC movers should handle your belongings with the utmost care. They should plan and organize everything and offer quick and suitable solution in case of any inconvenience. Their expertise will help you overcome any kind of complication during the relocation process. – Movers arrive on time on the moving day. They should stick to the predefined schedule and act according to your agreement. – Proper equipment and moving supplies will keep your home and belongings safe. Also, they should be prepared for any kind of unpleasant surprises like bad weather and act according to the circumstances. – Professional movers are licensed and registered with FMCSA (Federal Motor Carrier Safety Administration) and they completely respect customers’ rights and responsibilities. Also, you can contact Better Business Bureau and check the complaint history of the moving company you are interested in. – Additional services like packing or storage are usually offered by reputable moving companies in NYC. If your items need to be stored for some time before they reach the final destination, talk to your movers in advance and check if they have a proper license for it.